Just arrived back in Cairns after completing the Thorsborne Trail. Have decided to post a few pictures of this beautiful place. Words and more editing to follow!! Next time to Aussie I will get there. Will post a link to your trip report once you finish the editing. I am planning to do the Thorsborne pretty soon. My wife and I are reasonably experienced hikers and reasonably fit – do we need to allow for three nights, or would two be comfortable enough to complete it? Welcome to the blog . We did this walk in 4 nights and I suppose it depends on your approach. I really reckon you would be pushing it in 2 so would allow three BUT it is such a beautiful place why not take your time and have a swim (or three) and enjoy yourselves. The sandflies and march flies are the most painful part so make sure you take some DEET. Hope you have a great time and please let us know how you go. Thanks for that. I have taken your advice and we’ll stay the extra one (or two) nights on the trail. Originally I was trying to get on there for my wifes birthday as a surprise, but QPWS only had the 2 nights available at that time. I have now postponed it a month and will enjoy a more leisurely walk with her. hey just wanted to know how you got to the island did you catch a Commercial ferry? where did you catch it from? how much did it cost? This is the company that did our transfers. All the info you are after is there. One of the world’s best hikes? Fantastic swimming and beautiful scenery ? 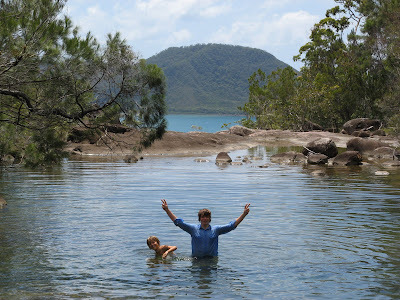 The Thorsborne Trail on Hinchinbrook Island has it all, and much more. The Thorsborne Trail came to our attention in a book called “The World’s Great Adventure Treks”, edited by Jack Jackson. This book is a compilation of treks from across the world that meet 9 specific criteria. They include having very little infrastructure, at least five days duration, be mainly traversed by locals, pass through remarkable terrain, challenging in terms of fitness (both physical and/or psychological), not too technical and have an element of risk! 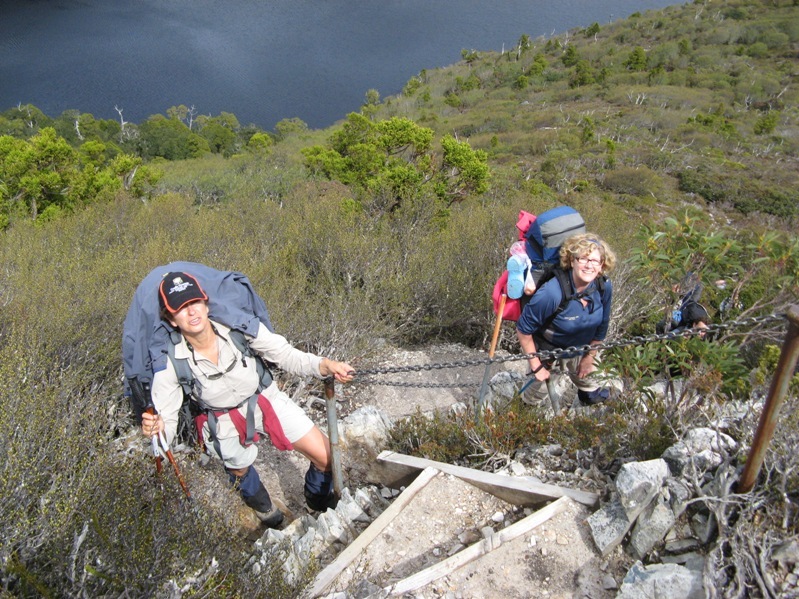 There are only 20 treks in the book and the Thorsborne Trail is the ONLY one in Australia. Once we read this, we knew we had to complete the walk! 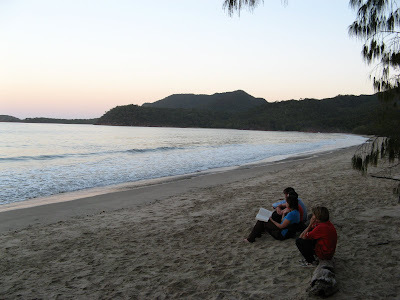 Hinchinbrook Island is midway between Cairns and Townsville. The official blurb is here. You can read about the history and geography of the Island and some detail on the walk. We were lucky as Ken, Franks brother and his son Vincent were keen to come on the walk. 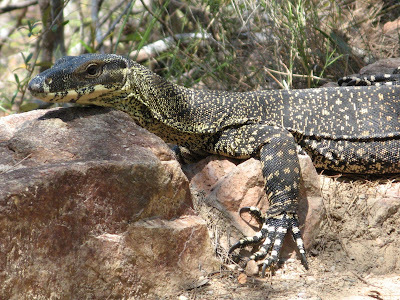 They live in Cairns, so transport to the start was easy. Public transport is available. It was recommended to us by a local, who has completed the walk 4 times, to travel from South to North. This meant starting at Lucinda and taking a boat trip to the start. 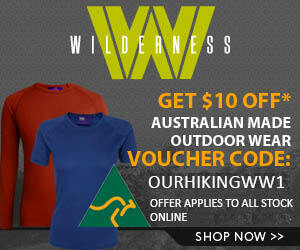 This great little earner is through Hinchinbrook Wilderness Safaris . Costly for the duration of the trip but it seems the only way to get there! Below if a picture from the boat looking at Hinchinbrook Island. It was a beautiful trip and the sea was very calm. What a great hike! 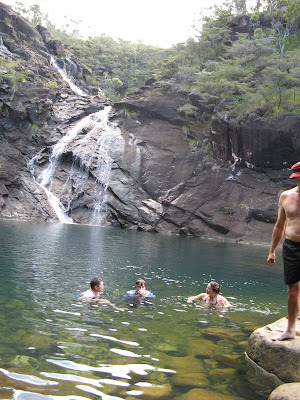 Before heading to Cairns we visited Townsville and area which was OK. Had been a better option to do this hike instead. We just completed the walk (I.e. June 28 2013) and had fantastic weather and great company. We also walked from south to north, staying at the Lucinda hotel (great locals with local knowledge) before departing. The boat trip as mentioned by the author a ‘great money earner’ charges $50 for a 15minute boat trip, captive audience. 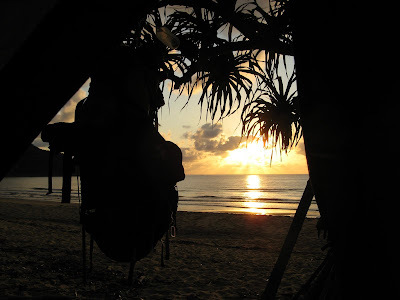 I must mention at this time I am new in into hammock camping and was unable to confirm if I was able to use a hammock at the nightly camping spots, well now I am happy to say trees were available. ( much reduced weight , approx 1kg). We also had kayakers at each of our camping sites who also had a great trip. 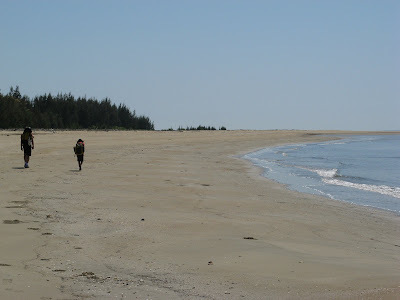 The walk is very diversified with regards to terrain, from beach to rainforest, swamp, mangroves, rock hopping, up and downs and creek crossings (slippery rocks). I also agree with the author re shoes, some of our party wore light hiking shoes, good for creek crossings but that is all. Gaiters were also helpful on the track even though a little warm to wear. The campsites were very basic with food boxes for protecting your food from giant white tailed rats etc and long drop toilets, Zoe bay was more like smelly bay, the toilet was ripe. Freshwater was readily available except for Ramsay bay which was harder to come by. Sand flies and mossies were thick in the mornings and at dusk, long sleeves and pants and socks helped greatly. The boat trip out , $90 took approximately an hour and our bus trip from Cardwell to Lucinda cost $30, very professional and pleasant operators. On a final note thanks to the Lucinda hotel who allowed us to have a shower for free when asked, thumbs up to them, great NQ hospitality.